Reince Priebus: In his role as RNC Chairman, Mr. Priebus interacted with Trump campaign officials of interest. The Committee has reason to believe that he met with Paul Manafort on June 9, 2016, the same day Mr. Manafort, Jared Kushner, and Donald Trump Jr. met with Russian persons claiming to have damaging information about Hillary Clinton. Mr. Priebus may also have valuable information to share about relevant events and communications of interest during the transition and first months of the Trump administration, including Mr. Flynn’s communications with Russian Ambassador Sergey Kislyak and the Administration’s reaction to public disclosure of those contacts. Stephen Miller: Mr. Miller served as a senior policy advisor to the Trump campaign and likely attended the March 2016 meeting of the foreign policy advisory board. Mr. Miller likely was involved in key decision points during the campaign and transition, and engaged with the campaign’s foreign policy advisors. He also could shed light on the RNC platform change on Ukraine and, as a speech writer during the campaign, the June speech of candidate Trump promising interesting new information about Hillary Clinton the week his son was set to meet secretly with the Russian delegation. 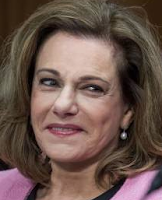 Kathleen (KT) McFarland: Ms. McFarland served on the transition team before becoming Michael Flynn’s deputy national security advisor and was a close associate of Flynn. Publicly reported emails coupled with the Michael Flynn’s Statement of the Offense indicate that Ms.
McFarland may very well have known about Mr. Flynn’s communications with the Russian Ambassador in late December 2016. Ms. McFarland reportedly wrote in a December 29, 2016 email that sanctions announced hours earlier by the Obama administration were aimed at discrediting Trump’s victory. The email reportedly went on to state that the sanctions could make it much harder for Trump to ease tensions with Russia “which has just thrown the U.S.A. election to him.” This comment seems to indicate an acknowledgment by Ms. McFarland that the Kremlin not only interfered in the U.S. election but that the interference helped Trump win. interest that bears directly on the investigation’s parameters. Kellyanne Conway: Ms. Conway may be able to shed light on the activities of Peter Smith, who was engaged in an operation to find, authenticate and release Hillary Clinton’s “missing” emails. Ms. Conway would also be well-placed to discuss relevant events and communications of interest during the campaign, transition and Trump administration, including Michael Flynn’s late December contacts with Russian Ambassador Sergey Kislyak and the Administration’s reaction to the public disclosure of those communications. meetings and calls with foreign persons, including Russian officials or representatives. She also likely was aware of campaign activities and interactions involving George Papadopoulos and Carter Page, as well as other persons of interest, based on her foreign policy advisory role. Daniel Scavino Jr.: Mr. Scavino served as the Social Media Director for the Trump Campaign. Mr. Scavino was a key campaign official who developed the campaign’s online content and Facebook marketing plan. Mr. Scavino could help the Committee better understand the campaign’s social media operations. Mr. Scavino can also shed light on a Russian social media platform and its offer to establish a presence for the Trump campaign. 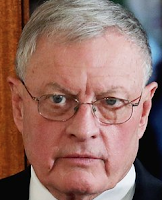 Joseph E. Schmitz: One of candidate Trump’s initial five campaign foreign policy advisors, along with Walid Phares, Carter Page, George Papadopoulos, and Keith Kellogg, Mr. Schmitz also has yet to interview with or produce documents to the Committee. It is important that the Committee interview all members of the Trump campaign’s foreign policy advisory team to develop a comprehensive understanding of all communications and events of interest. Mr. Schmitz is a recurring figure in witness testimony and documents produced to the Committee. Sam Nunberg: Mr. Nunberg, a former Trump campaign aide who left in August 2015, may have important insight into the early workings of the campaign and any early communication with Russia, as well as information on individuals of interest to the Committee, including Roger Stone. Public reporting indicates that Mr. Nunberg may have knowledge of contact between Mr. Stone and WikiLeaks founder Julian Assange during the 2016 election, conversations which would be of great interest and relevance to the Committee’s investigation. Dimitri Simes: Mr. Simes serves as President and CEO of the Center for the National Interest, which hosted President Trump’s April 27, 2016 foreign policy speech at the Mayflower Hotel. The Committee is investigating matters related to the speech and communications that may have occurred at the event, and the Committee has reason to believe that Mr. Simes played a central role in drafting portions of the speech related to Russia. The Committee should also obtain relevant personal correspondence between Mr. Simes and Trump campaign officials and any individuals with direct or assumed links to the Russian government. Russian-related approaches to and interaction with the organization and persons of interest to the Committee during the 2016 election. the NRA annual convention in 2016 to make “first contact.” Mr. Erickson may be able to provide insight into reported Russian-directed efforts throughout and possibly prior to 2016 to approach U.S. organizations and persons. 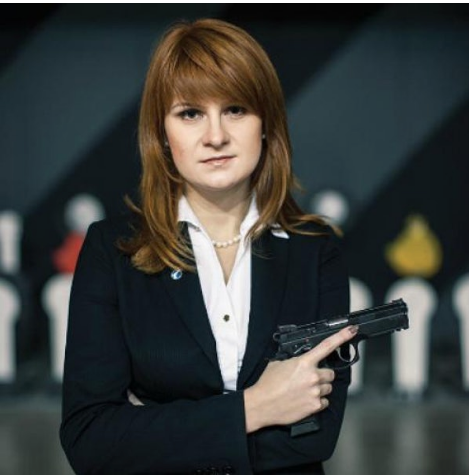 He may also have insight into the actions of Alexander Torshin, a deputy governor of the Central Bank of Russia, and Maria Butina, reportedly a former assistant to Mr. Torshin, at the NRA convention. organization. She may be able to clarify for the Committee the origin and purpose of alleged Russian-directed efforts to approach U.S. organizations and persons connected to the Trump campaign throughout and prior to 2016. The Minority believes that it is important to request as a matter of record Ms. Butina’s cooperation even if she is not a U.S. citizen; however, she may be living in the United States. reportedly knows Alexander Torshin and Ms. Butina and may be the person who connected these individuals with senior officials from the Trump campaign. Sergei Millian: Mr. Millian, a naturalized American citizen who leads a group called the Russian-American Chamber of Commerce, declined to cooperate with the investigation unless he was granted immunity. The Minority informed the Majority on November 29, 2017, that it was open to engaging Mr. Millian to assess his concerns, but is not aware of any information towarrant the Committee granting Mr. Millian legal immunity. Consistent with the Committee’s approach with other unwilling witnesses, and absent compelling information that legal immunity may be warranted, the Committee should issue a subpoena for production and appearance if Mr. Millian remains unwilling to appear before the Committee on terms consistent with witness interviews to date and Committee rules. Natalia Veselnitskaya: Ms. Veselnitskaya, the Russian attorney who met with Donald Trump Jr. and other campaign officials on June 9, 2016, ostensibly to provide the campaign “dirt” on its opponent, Hillary Clinton, has expressed willingness publicly to speak to congressional investigators and reportedly has responded in writing to questions from the Senate Judiciary Committee. However, she has never been invited to appear before the House Intelligence Committee. The Committee, therefore, should engage Ms. Veselnitskaya to determine her willingness to provide testimony about key events of interest. that the Russian lawyer in attendance would be bringing “dirt” on Hillary Clinton. Press reports indicate that Mr. Beniaminov shared a business address in New Jersey with Emin Agalarov, who was involved in planning the June 9 meeting. 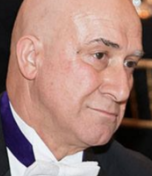 Bijan Kian: Mr. Kian is an Iranian-American who was a partner at the Flynn Intel Group and reportedly was involved in the firm’s lobbying efforts as well as work on behalf of Inovo BV, a Netherlands-based firm owned by Turkish-American businessman Ekim Alptekin. Flynn Intel Group reportedly filed paperwork under the Foreign Agents Registration Act acknowledging that work done for Inovo BV “could be construed to have principally benefitted the Republic of Turkey.” Inovo BV reportedly paid Flynn Intel Group $530,000 to investigate Fethullah Gulen, a U.S.-resident cleric who is wanted by the Turkish government. The Minority seeks to question Mr. Kian about this and other activities of relevance to the Committee’s investigation. 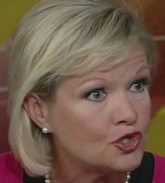 “coffee boy,” Ms. Mangiante publicly disputed this characterization and defended his cooperation with the Special Counsel. 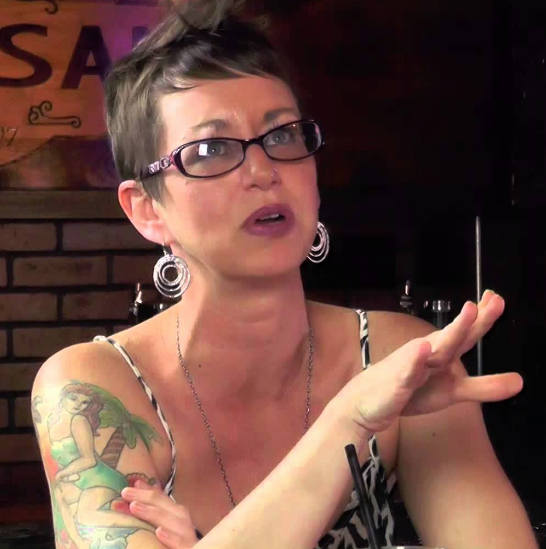 She stated that Mr. Papadopoulos had communicated with high level campaign officials, including Stephen Bannon and Michael Flynn, and that Mr. Papadopoulos helped to organize a meeting between candidate Trump and Egyptian President elSisi through a connection he had at the Egyptian embassy – a claim that is consistent with other information provided to the Committee. 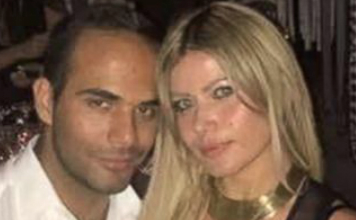 Ms. Mangiante may have further information about Mr. Papadopoulos’s campaign role, which would be of interest to the Committee. John Szobocsan: Mr. Szobocsan, Managing Director at Corporate Venture Alliances, LLC, has been identified as a substantive partner in Peter Smith’s effort to find, authenticate and disseminate Hillary Clinton’s “missing” emails, a focus area for the Committee’s investigation. Committee should request Mr. Garten’s testimony and ask the Trump Organization to clarify the basis for and subject matter of any redaction from material it has produced to the Committee, and compel via subpoena the disclosure of relevant redacted information, if necessary. attempts made by President Trump to secure a deal for a Trump Tower in Moscow. Mark Corallo: According to Michael Wolff’s recent book, “Fire and Fury: Inside the Trump White House,” Mr. Corallo privately confided that he believed the meeting on Air Force One in which President Trump reportedly personally drafted the statement concerning his son’s June 9, 2016 meeting with Russian intermediaries likely amounted to obstruction of justice. The Minority seeks to determine the facts that form the basis for Mr. Corallo’s knowledge about the Air Force One incident and what led him reportedly to believe that the actions were obstructive. Deutsche Bank: The Minority believes that it is imperative to request documents from Deutsche Bank (see Appendix C), via subpoena if necessary, and interview key members of the bank with insight into money transfers and other activity linked to Russia, including whether there is any Russian involvement in Deutsche Bank’s loans and other transactions that could be of relevance to the Committee’s investigation. The Committee should seek testimony from senior officials in Deutsche Bank’s Risk Division, including but not limited to the Group Risk Office and Credit Risk Management teams, who can speak to any due diligence conducted after the 2016 U.S. election, as well as from individuals in Deutsche Bank’s personal wealth management division, including Rosemary Vrablic, Managing Director and senior private banker of Deutsche Bank’s private wealth management business. The Minority seeks to determine the extent of the bank’s involvement with Donald Trump and whether there is any Russian connection to loans made by the bank to the Trump Organization. individuals from other companies who conducted technology-related work on behalf of the Trump campaign or on behalf of other entities being funded through independent expenditures to gain a full picture of whether there was any coordination between Russia’s extensive social media efforts on Trump’s behalf and the campaign itself. For example, Avraham (Avi) Berkowitz, served as Assistant Director of Data Analytics on the Trump Campaign. 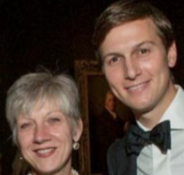 He was also an associate of Jared Kushner and Brad Parscale. The Committee has reason to believe that Mr. Kushner may have dispatched Mr. Berkowitz to meet with Russian Ambassador Kislyak in December 2016. Theresa Hong, who served as Digital Content Director for the Trump campaign, should also be asked to testify. Ms. Hong has spoken to the press about the campaign’s digital operation and her team’s work alongside Cambridge Analytica. Darren Blanton: Mr. Blanton, founder and managing director of Colt Ventures, served as a transition advisor and reportedly met frequently with Stephen Bannon during the campaign. Mr.
Blanton may be able to provide insight into reporting related to technology and social media focused contracts with the Trump campaign that are of interest to congressional investigators. Jon Iadonisi: Mr. Iadonisi and VizSense Inc. are reported to have conducted social-media work for the Trump campaign, and Mr. Iadonisi’s White Canvas Group reportedly undertook Turkeyrelated work related to Mr. Flynn, both areas of focus for the Committee’s investigation. Aaron Nevins: Mr. Nevins is a Florida political operative and blogger who reportedly messaged Guccifer 2.0 requesting hacked emails. Guccifer 2.0 reportedly replied by sending Mr. Nevins stolen Democratic Congressional Campaign Committee emails. understand how each state was affected by the 2016 attack, and to better understand how they are preparing for elections in 2018 and beyond. CrowdStrike: The Committee needs to speak with two CrowdStrike employees who provided direct support to the DNC and interfaced with the FBI. These additional witnesses may be able to provide first-hand, technical insight into CrowdStrike’s forensic examination of the DNC’s servers and activity by Russian hackers.